Happy Wednesday! 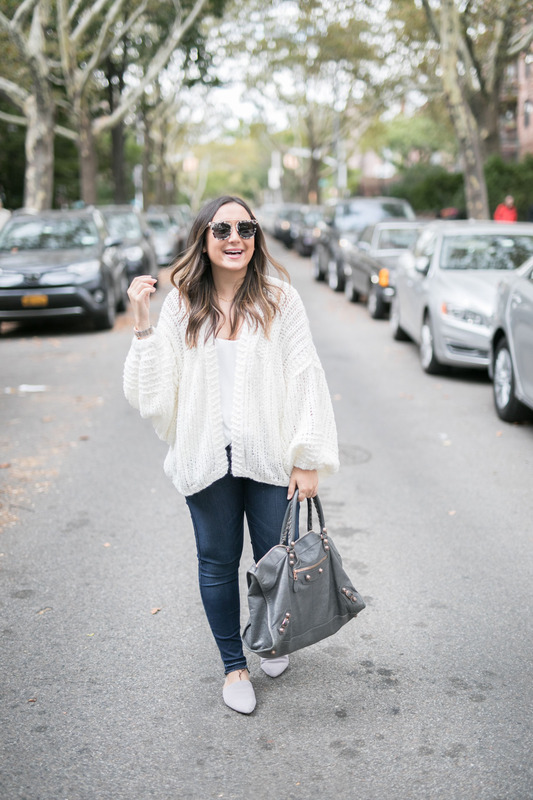 I’ve been asked by a lot of you what my favorite brands of jeans are so today I’m super excited to be sharing some of my absolute favorite brands and more jeans by that brand that I either own and love or am dying to own and love! For me, denim is a huge must-have in my closet. But, I find it worth it to invest in denim because I wear it so much. Especially if you live in cooler climates, you can’t live without denim! It’s one of those things that’s worth investing in so that you can have a great pair that lasts you years. So, below see my roundup for jeans and let me know if you have any questions! You can always email me at laurenthefashionistasdiary@gmail.com. 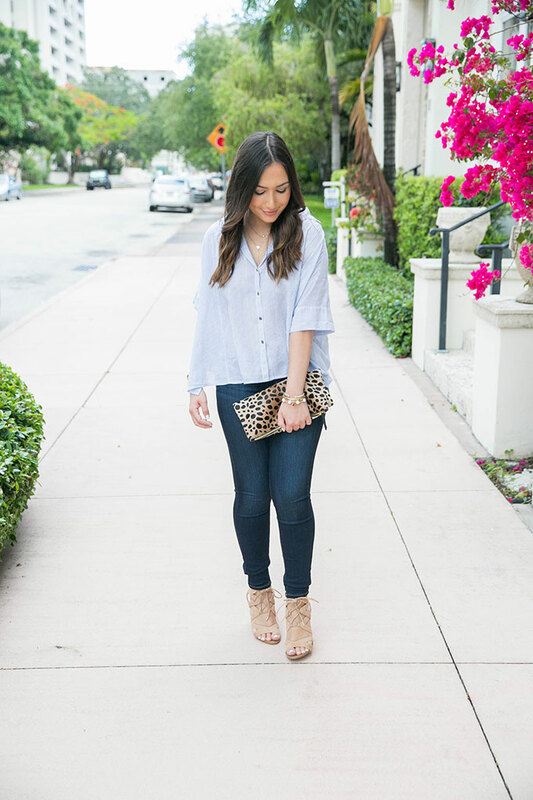 I recently discovered Madewell Jeans and am in love with them! The fit of them is so comfortable, flattering and good for those who are petite. Above, I’m wearing these, which, as you know, have been my favorite for a while now! I love the 9″ high rise fit of them and I like that they have stretch so you don’t feel like you’re suffocating in your denim. I recently picked these up, too, and love them even more because they have Tencil in them, which gives them that loose comfortable fit that you feel SUPER confident in! AG Jeans has been one of my favorite brands for years now. The fit of these jeans is so great and they have so many different styles and washes so you’ll always have a great pair to choose. The Farrah is one of my favorite styles because it’s slimming and super comfortable. Their Legging Jean is also one that I own a lot of (the pair above is the legging jean) and the reason that I love them is because of the stretch they give! I’m obsessing over these for fall and winter. Express Jeans are amazing! They are also at such a great price point yet they fit so amazing. I used to do the “S” for short, but now I just do the regular jean if I’m doing a jean like above that has a frayed hem. 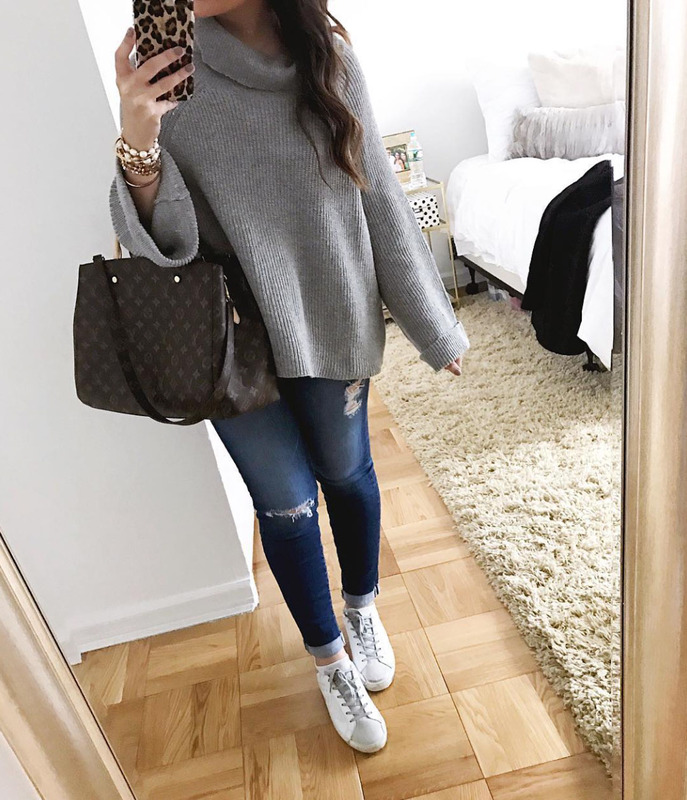 Jeans like these are so great and flattering and work well during any season. Their ankle jean leggings are some of my favorites and fit like a glove, too. If you’re looking for jeans in a lower price range but still great quality, these are it. These are the ones I’m wearing above in grey and I swear by them! I wear a size 8. I also love these girlfriend jeans. I could never live without Paige Denim. It’s probably my top favorite brand, to be honest. While it’s pricier, there is nothing else like it! 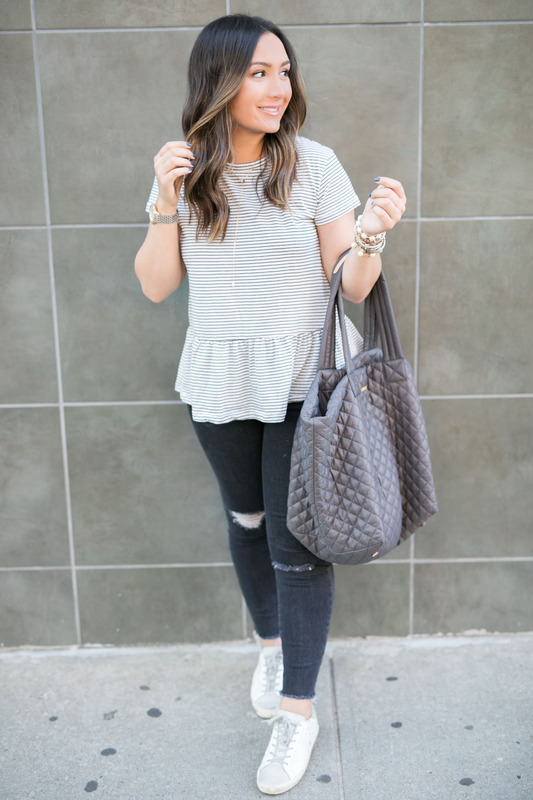 The Verdugo Skinny jean is my favorite because it’s flattering, comfortable and wears well throughout the day (the black pair I’m wearing in my second picture is actually on sale today). This pair is also one of my top favorites and you can see me wearing it a lot! My ripped pair is also a must-have and is currently on sale, now, too! Trust me when I say… if you want to wear super comfy jeans that feel like butter, these are your type. Last but certainly not least, 7 For All Mankind is another one of my absolute favorite jean brands! I’ve been wearing this brand a lot lately as well as Madewell. This pair is my absolute favorite by them (see picture above) and they’re actually on sale right now! I definitely recommend going with your true size on this pair. I love their Bastille grey-colored jeans and actually own a pair and LOVE them. Their Josefina jeans (first pic) are also one of my favorites and I own them in white as well. With these, they run big, so size down one size! LOVE this brand too! I’m always grabbing their denim because it’s the BEST quality! AG and Madewell are some of my absolute favs! They are such great quality and hold up so well. Love your picks! My favorite is Express and Paige! They have so many great pair of jeans! Love these brands too! I really love Frame denim! Sounds like I have some shopping to do because I have never worn any of those! Thanks for sharing! I have the worst luck with jeans! I’ll check these out! I am a tried-and-true jeans girl! I am OBSESSED wit Madewell jeans but also love Loft and Banana Republic for petite jeans! I want to try AG jeans I heard they are great! You look beautiful in every pair! Looks great! I’ll check these out! These are great picks for jeans!